Before I even get stuck into this post, I am going to apologise in advance for any typos and/or grammatical errors I make along the way. I have slept less than 24 hours in the last six days so blunder I may – and I trust that you will forgive such. I would like to explore the journey of passion and persistence which myself, my #powerhousecreatives (@steemitbloggers) family and so MANY others have travelled this past week in the @theycallmedan dpoll challenge. Through circumstance, upbringing and environmental factor - I have learnt that you succeed, achieve and receive your greatest passions and desires because you ALWAYS give EVERYTHING your BEST - you do not give up and because you are open to receive no matter which way the pendulum swings... Irrespective of what it is, you see it through, even if it is a bitter end – either way you win – as ultimately, you grow from it. I have learnt this through my parents, my siblings as well as my own life experience and so called “failings” - which as @nathanmars and I briefly touched on earlier today… are not failings at all. I do not operate like a lot of people. I never have and you know what – I never will. Throughout the 17 years that I worked as a designer and was asked for a “portfolio” – I never had one. I never created one, and never offered one. I always said “let me do it for you and if you are unhappy you can leave”. I think the duration of my time as a designer mentioned above illustrates whether that was a successful method or not. From the inception of what was the @steemitbloggers and is now the #PowerHouseCreatives - I adopted a similar mindset. When you strive to do things with “your best” first time around, then there is no need to prove yourself – because your work speaks for itself. So the journey of attracting likeminded people began. It was not a flawless process in getting to where we are now and it will forever be a work in progress, but being specific about my intentions – sifting out the “coat-tail-riders” and the rest of the rif-raf has left us with the most magnificent collection of golden nuggets. I am confronted with resistance, challenge and slander every single day about how I chose to build our community but I have stuck to my guns on it for over a year now and to be frank – the fact that a community consisting of less than 100 people has managed to win stage one and tackle round two of such a monumental challenge and persist in an often daunting challenge against communities consisting of thousands - is a statement about the @steemitbloggers community all on its own! STEEMIT - PLEASE MEET MY FAMILY :)!!! We are approaching the last leg of this race and yes, we are all exhausted. Still pushing – but exhausted nonetheless! It has been one of the most enlightening and inspiring journeys to be honest – because what was becoming a platform filled with despair, bitterness, disregard and hopelessness for many, suddenly came to life again! When people lack purpose they become stagnant and in the big sea of Steemit, it is very EASY to start feeling unknown, unappreciated and well – pointless – especially with all the “foundation drama” from the powers that be and the magnificent market this last year. And despite all of that - what I am most proud of is that throughout all the general “doom and gloom” floating around the platform – our community had each other to cultivate motivation… so when this challenge landed, we were ready for it – and so we JUMPED! This is what the power of collective inspiration does! When you KNOW you have a TEAM that will TRULY see you through anything, then suddenly doubt is no longer your master. I am incredibly proud of what we have achieved together as a team, and whether we get this delegation or not – I know that there is not a single one of us that will view it as a loss. We have connected with so many communities and individuals throughout this who have shown appreciation for our efforts and recognized the fact that the members of our community are true assets to the Steemit platform! With the love and humility across the board we are ALL stronger as a WHOLE! This challenge has been like something out of 300 Spartans or Braveheart lol – and it has been an amazing experience!!!! I know for certain that not only us, but so many others now hold a renewed faith and passion for this space and to be quite frank about it – it was cultivated from the creative idea of one man - @theycallmedan and a few cap feathers are warranted in that respect. It is not always easy game to shift the mindset of a predominantly despaired group of people and whilst I do not know Dan very well – or at all actually haha – I believe that he did this with the intent for the EXACT result which it has generated – RENEWED LIFE on Steemit! – So whether I am right or wrong in that perception – I say thank you. I might be dead on my feet right now, but I really have had the most amazing week with this poll and I would like to extend a HUGE thanks to everyone that has played a part in where we stand now! We have received support from so many angles and it has been REALLY AMAZING cultivating that kind of energy – so I genuinely hope we will all make an effort to sustain it and continue our collective endeavours to uplift and inspire the people that are already here and all those that are still to arrive! If we do win this delegation – we are all VERY excited to begin changing the experience here for SO MANY people… because the reach of our tiny little collective is a LOT broader than many people may be aware ;) Our arms reach far and wide through the generosity and enthusiasm of our members - and as we grow, so does that reach! If you have not voted yet and would like to support us you can do so below. Firstly, Thank you to my partner @zord189 - you are a one in a million gem! And to my #powerhousecreatives AMAZING TEAM!!!!! You guys are PROVEN TROOPERS!!!! Secondly I would like to make a special mention of the communities that have backed us in this poll – despite some of them being contenders themselves – because without you, we would not be where we are! You have honestly ALL gone above and beyond!!!! And then to ALL the people who supported us from literally EVERY CORNER OF THE GLOBE!!!! THANK YOU!!!!!!!!!!! I do apologise for the massive tag list, but this really means a LOT to us and it is important to me that EVERYONE who supported us along the way, knows how much their vote, upvote or resteems mean to us! Alignment is out - ;) KIDDING!!!!!!!!! Awesome! Thumbs up! High Five! He sure has love, he sure has!!!!!!! I am SO SO SO BLESSED to have him!!!! he still wanted to make another two cheering videos for us, beautiful child!!!! I think she picked it up from some of her teachers at daycare. Here in the Southern US everyone is sweetie or honey, haha. I'm glad you've got a good one in him, though with you as a mama I wouldn't have expected otherwise. Now go get some rest! Oh my gosh I forgot about this kid! So funny. Yep, I can definitely see her doing this, too. You're an amazing woman and I know you will continue being an influence here and in the real world. Thanks for the meantion. Resteeming. Thank you!!!!!!!!!!!!!!!!!!!!! Sometimes, "strong" people need hugs too lol ;) so thank you! You have no idea how well I identify with that comment LOL. Have a wonderful weekend and you're welcome. Thanks lovely!! It's my pleasure. Hit me up anytime you need something. hahaha yea, a VERY long list and thank you SO MUCH for helping us with this!!! Thank you!! Your support is VERY MUCH appreciated!!! THAT right THERE!!!!!!! Thank you!!! @zord189 and I both NEEDED to see that right now! THANK YOU!!!! and YES, I got some spare boots laying around for the last leg tomorrow hahahaha thank you hon! I am glad I can help in my small way to a community that seems whole hearted and well liked across the globe, good luck! EVER grateful for your support @vision20twenty Thank you so very much! Thanks so much for supporting our @steemitbloggers (Power House Creatives) community last time, @vision20twenty! I'm not sure if you've heard, but Dan is running another delegation contest, and the poll closes in less than 12 hours! If you were able to vote for us again (so hopefully we cross the finish line in first place this time) it would be greatly appreciated. You guy’s have earned my respect and admiration. The energy and dedication is impressive. Re-steeming. Your efforts this week have been phenomenal and it has showed with the fact this small group can contend with thousands, the progress you have made and your vision. We have definitely punched about our weight! Hopefully people have noticed that there is a dedicated and passionate team here, even in the dark times! 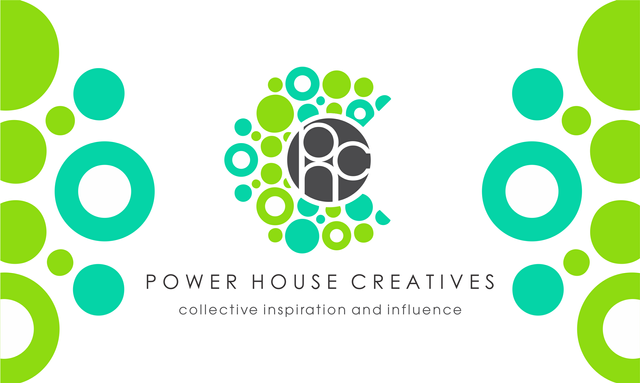 I am sooooo proud to be a part of the #powerhousecreatives! This is what steem is about: people from around the world working together! Love you guys! If nothing else we have put a bigger pin in the map. There is no fail at the end of this process, regardless of the result. I am not part of PowerHouseCreatives, but I voted because @qurator and @freewritehouse made a call. You guyss deserve even more. Thank you SO much for the support! We really appreciate it! Good luck to some amazing bloggers!! I voted, I tweeted, we succeeded...? When do we find out who won? Hope it wasn't too late when I resteemed this - 19 hours after you posted - eep! I was caught up in Iowa Cold Cases all morning. Killers walk free among us, hiding in plain sight, but never mind them. We can join forces at Steemit and do good in this world! Your UA account score is currently 5.344 which ranks you at #706 across all Steem accounts. Your rank has improved 3 places in the last three days (old rank 709). In our last Algorithmic Curation Round, consisting of 163 contributions, your post is ranked at #116. After approximatively 48 hours, your post has 10.23 of pending rewards.